⋯ (July 2, 2013) - The Imaging Source, a leading manufacturer of industrial imaging products, is thrilled to announce an exciting new partnership with Celestron, the world's #1 telescope maker. Building on the two companies' combined 75 years of experience, The Imaging Source and Celestron are proud to unveil their first collaborative effort: Skyris, a bold new line of USB 3.0 astronomical cameras. 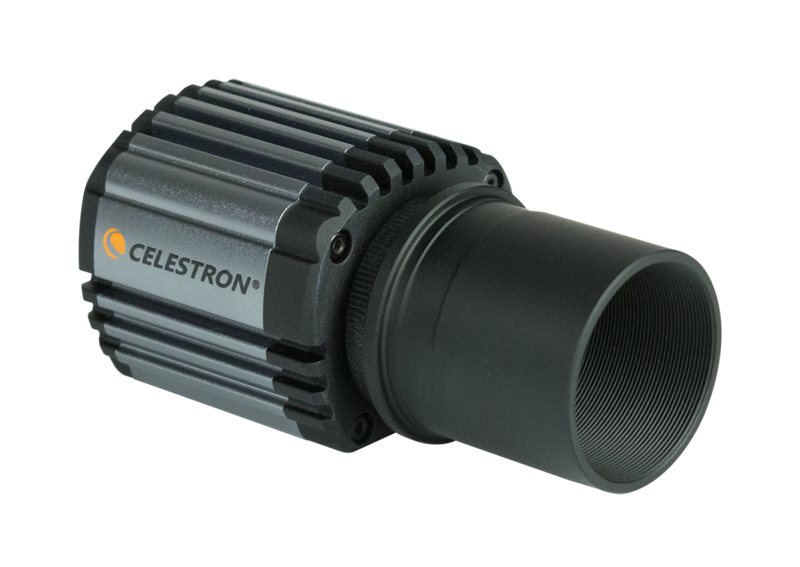 The all-new Celestron Skyris cameras, powered by The Imaging Source, offer the latest astroimaging technology at an affordable price point. The first models, released today, include three unique Sony EXview HAD CCD sensors with resolutions from VGA to 2 megapixels, able to record at speeds up to 120 frames per second. Each Skyris includes camera control and post-processing software, a 1.5-meter USB 3.0 cable, and a 1.25" telescope adapter. Celestron is a leading designer, manufacturer, and importer of high-quality optical products including computerized and non-computerized telescopes and related accessories, GPS devices, binoculars, spotting scopes, and microscopes. Since manufacturing its first telescope in 1960, Celestron has grown to become the world's #1 telescope maker, and enjoys brand-name recognition among serious amateur astronomers for superior optics, outstanding design, and innovative technology. Celestron's extraordinary products continue to receive numerous industry and consumer media accolades, adding to an already impressive list that includes awards for product innovation from Reader's Digest, Popular Science, PC Magazine, Popular Mechanics, the Consumer Electronics Association, and more. Celestron is a privately-held company with corporate offices and manufacturing facilities in Torrance, California.